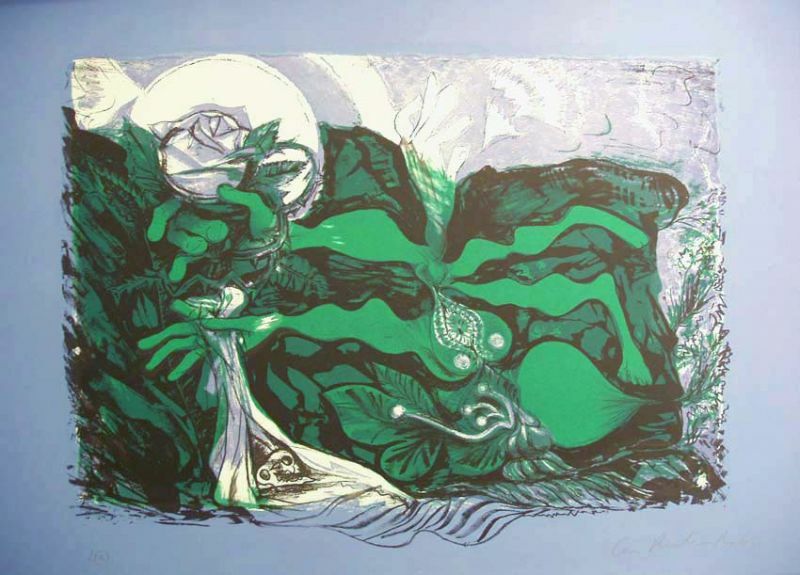 This exhibition celebrates two of Wales' greatest cultural figures of the 20th Century. 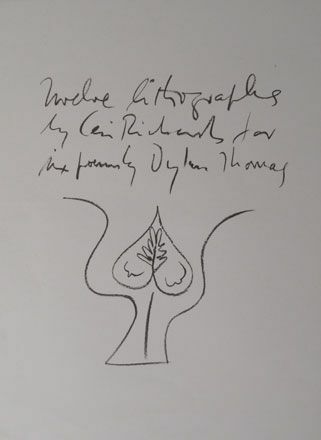 Dylan Thomas was, of course, one of Wales’ greatest literary figures and Ceri Richards is acknowledged as Wales’ most important artist of the mid-twentieth century. 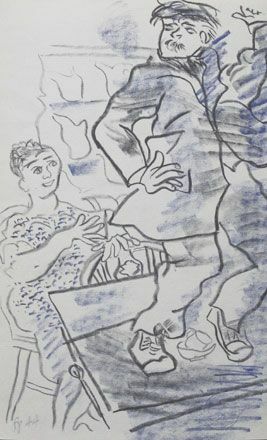 2014 marks the centenary of Dylan Thomas' birth and as part of the celebrations we are hosting an exhibition of work by Ceri Richards inspired by Dylan Thomas’ poetry. 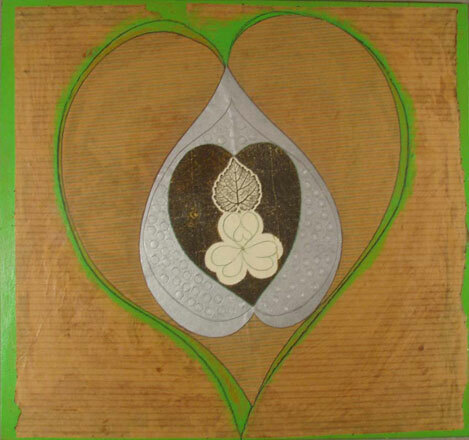 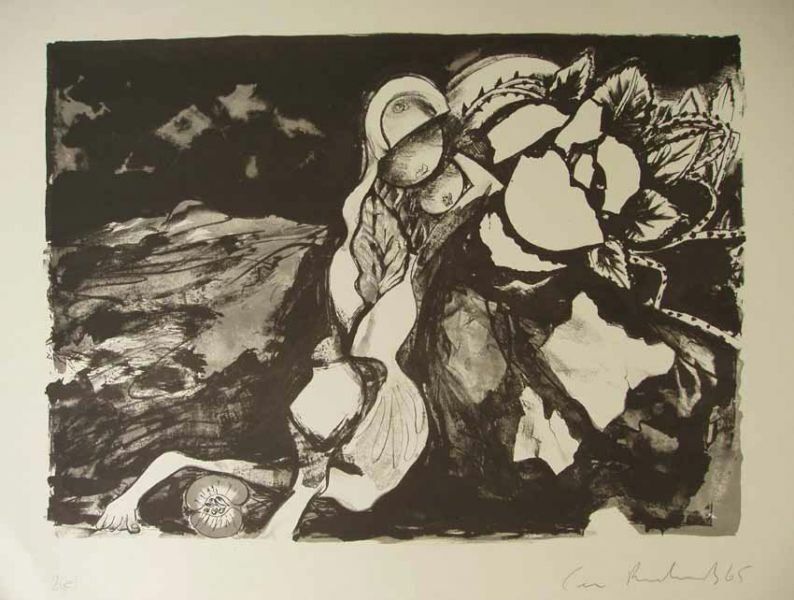 In Wales Ceri Richards is best known for his paintings and drawings inspired by Dylan Thomas’ poetry. 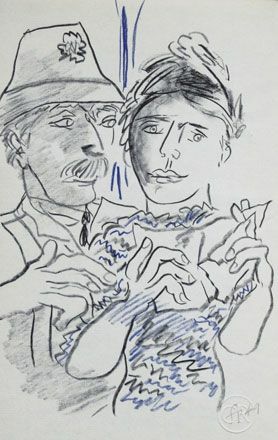 Amazingly, however, these two great figures met only once. 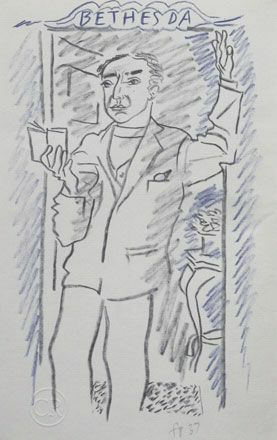 In October 1953, a year after the publication of Dylan Thomas’ ‘Collected Poems’, Ceri Richards travelled to The Boat House in Laugharne, and the painter and poet immediately struck up a rapport. 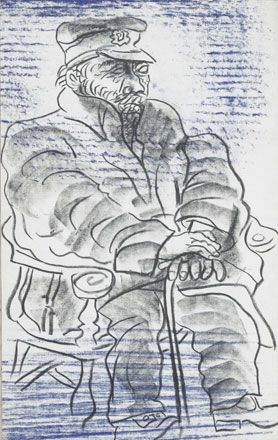 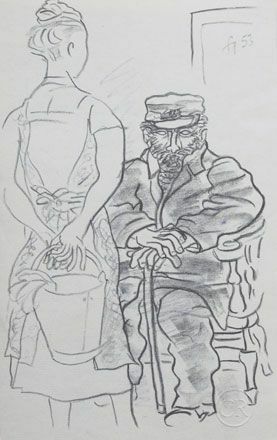 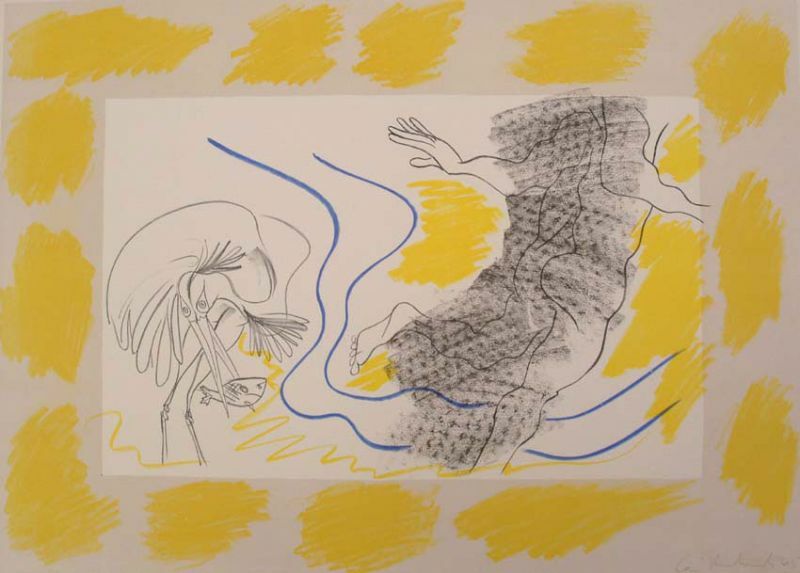 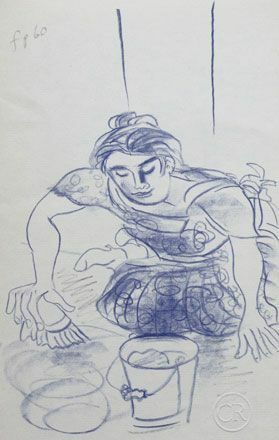 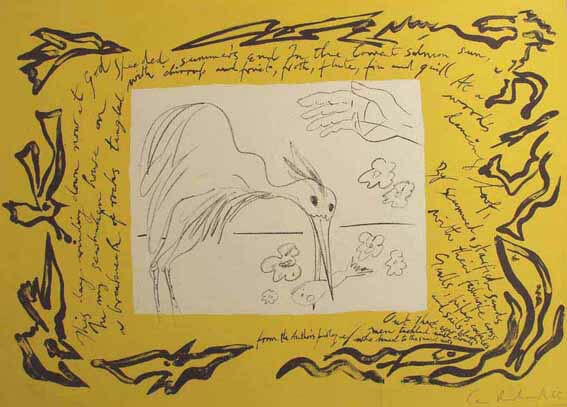 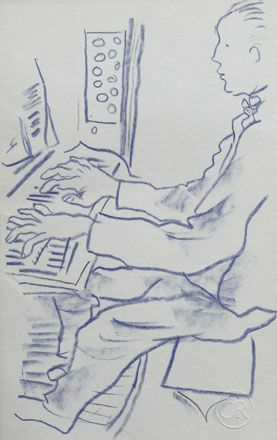 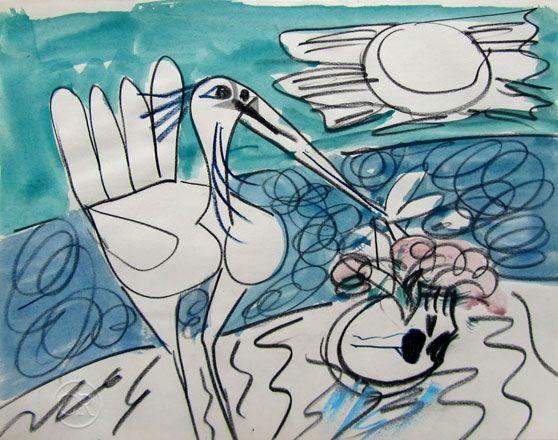 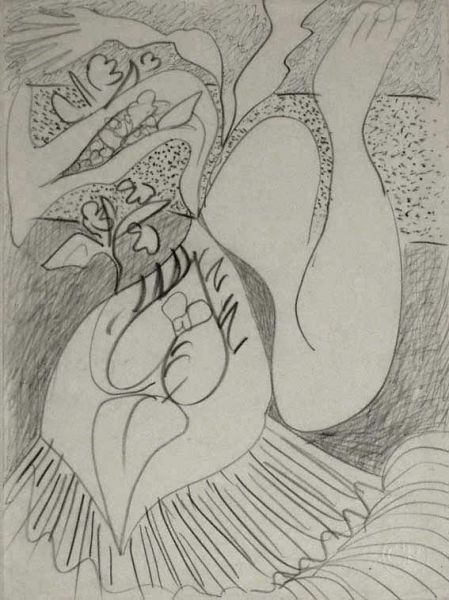 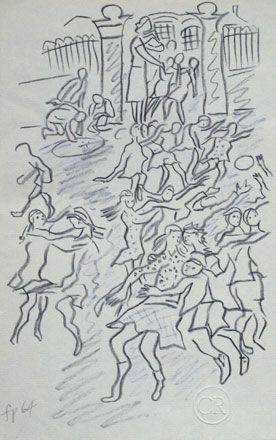 Barely a month later, on hearing of Thomas’ parlous health and subsequent death in New York, Richards was inspired to create a number of drawings based on Thomas’ poems. 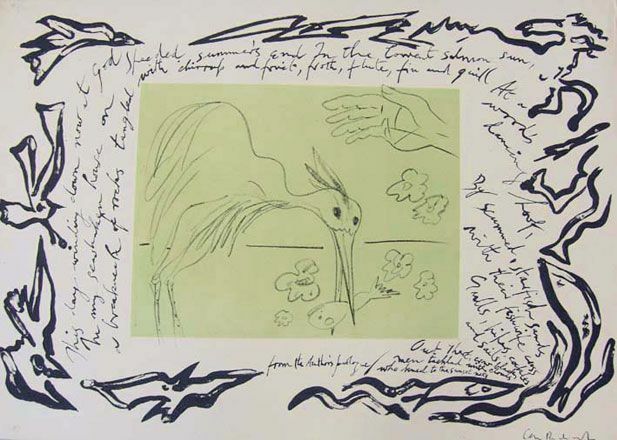 Many of the themes and images in these ‘Homage to Dylan Thomas’ works would reappear in the great graphic masterpiece of 1965 – ‘Twelve Lithographs for Six Poems by Dylan Thomas’- the grand culmination of Richards’ association with Thomas’ poetry. 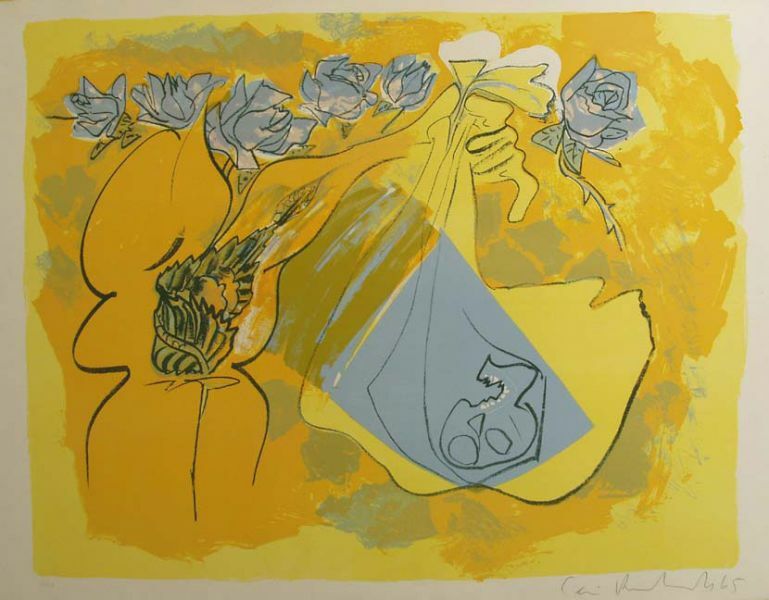 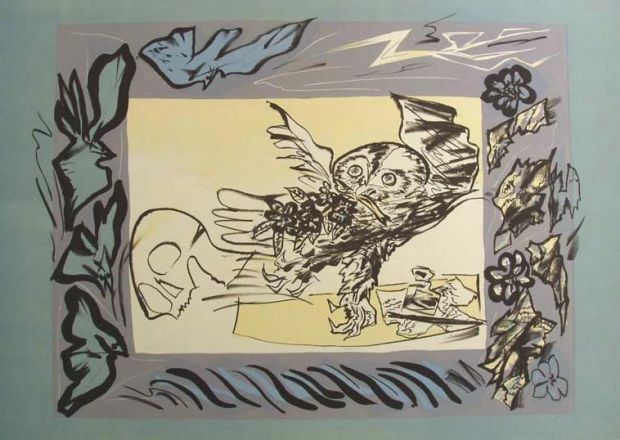 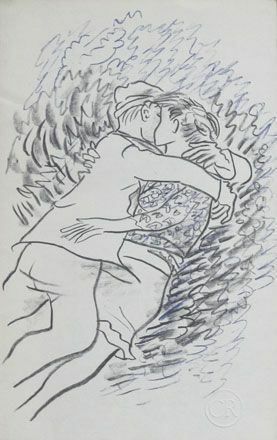 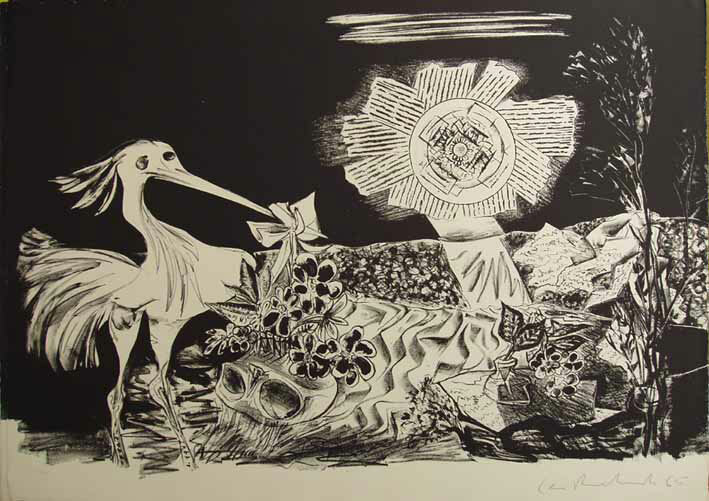 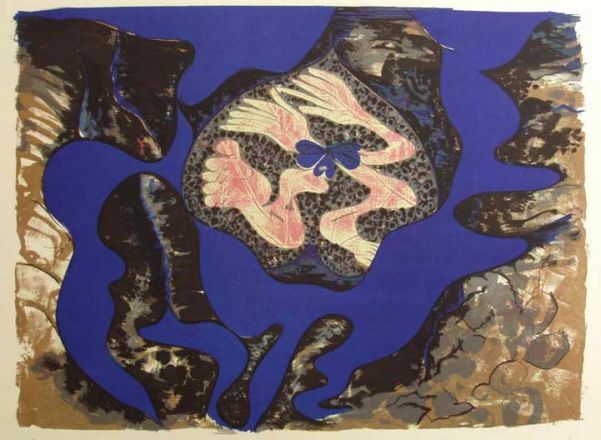 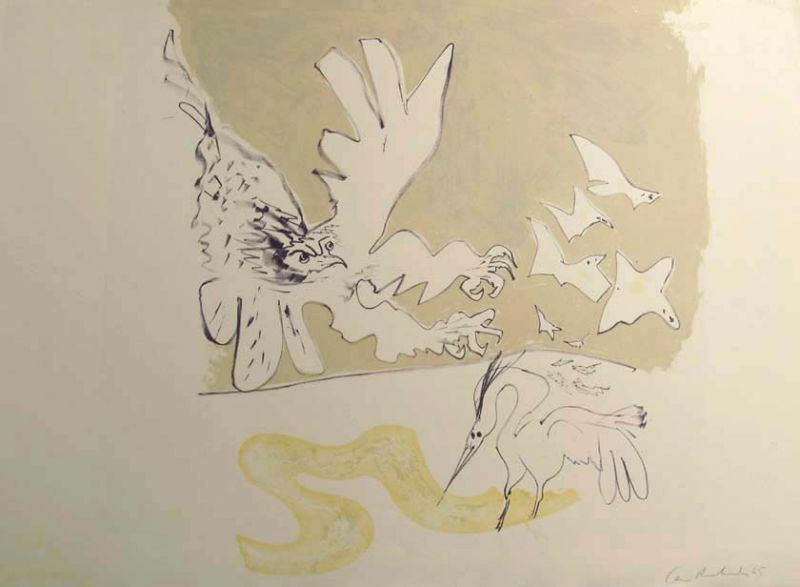 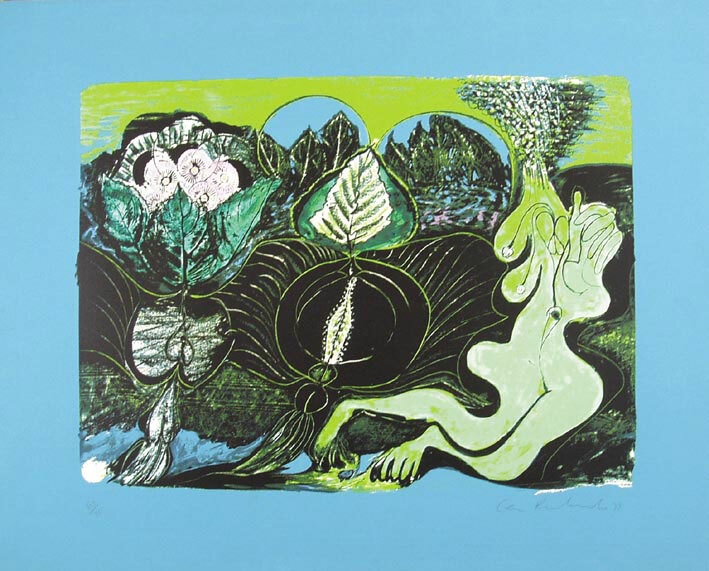 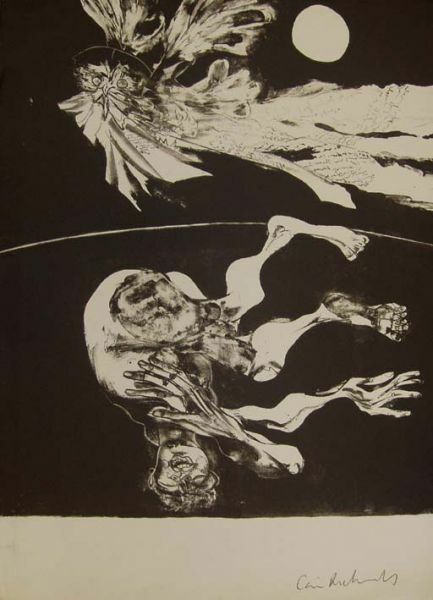 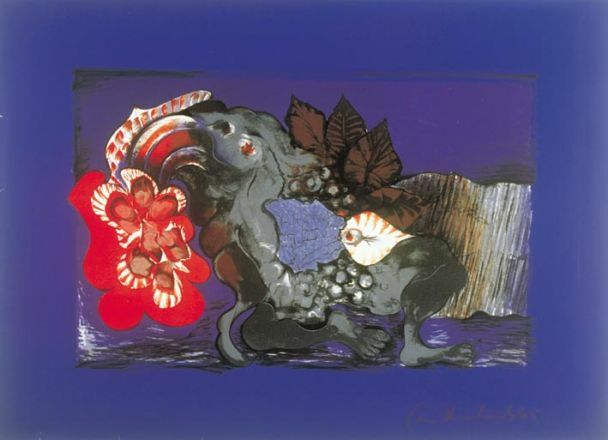 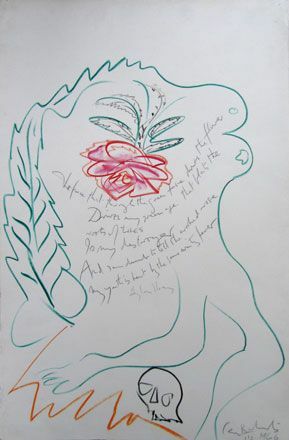 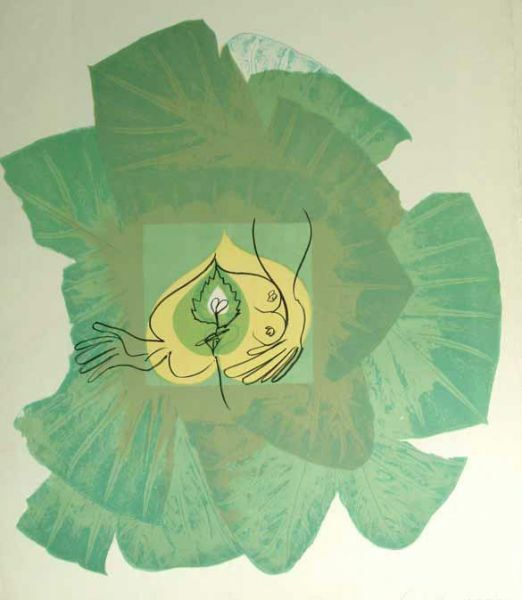 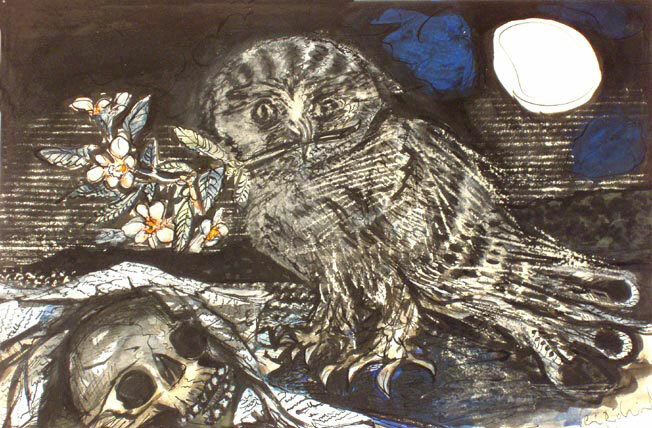 This exhibition includes the complete Dylan Thomas Suite of lithographs and the complete set of Under Milk Wood lithographs, together with related original drawings and paintings, including one of Richards’ greatest oil paintings ‘The force that through the green fuse drives the flower’ from 1965, which was previously exhibited at The Tate Gallery retrospective in 1981.